Simple and understated, this Demi Lace and Tulle gown is ideal for the bride who loves tradition. 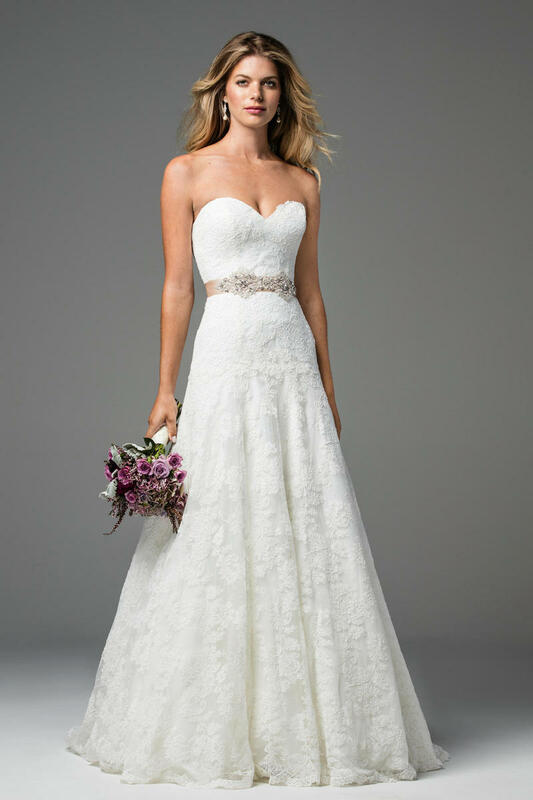 A classic sweetheart neckline flatters the body while the flowing silhouette catches the eye. Soleil comes with the beautiful Sema Belt for an added statement. Chapel train.